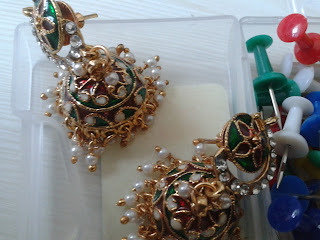 Presenting these gorgeous jhumkas courtesy, my fantabulous work-mate :Sheena. The girl , have to admit has a good taste and these jhumkas are a steal for 350 bucks. 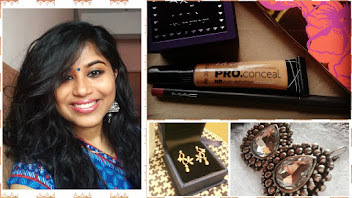 I myself own few pairs of jhumkas and adding to the growing list is an ethnic gold pair gifted to me by my to-be-in laws during my engagement. 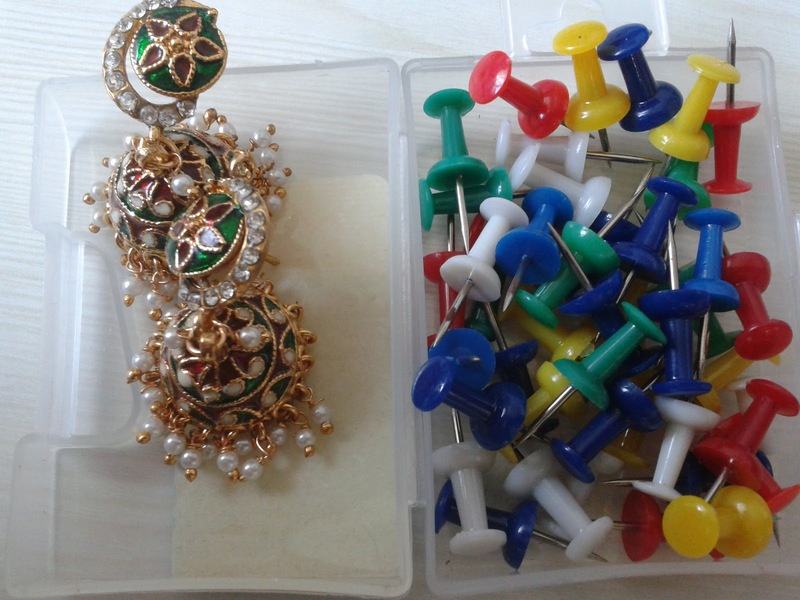 Will feature them soon along with my engagement earrings and two other gifted earrings. 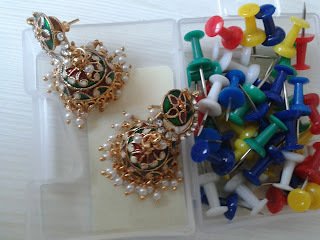 It's raining earrings this month I guess. I would probably do a post tomorrow so this would be my official second last post for this year. 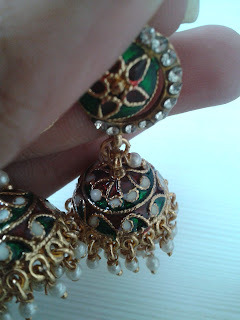 these jhumkas are beautiful, love ethic jewellery!